Showing 1 - 15 of 21 articles tagged "Ilana Glazer"
Broad City's finale was a "conscious uncoupling"
Abbi Jacobson and Ilana Glazer screened the final three episodes of their Comedy Central series over the weekend. "TV has long neglected to consider women’s bodies as anything other than sexual objects," says Caitlin Wolper. Watch a preview of the 90-second ad promoting Amazon's Alexa. Broad City stars reflect on their show's impact: "I can’t believe we’re distillable"
“It’s an honor, but it’s also scary. "I’m finally starting to process it now," says Ilana Glazer in an interview with The New York Times. 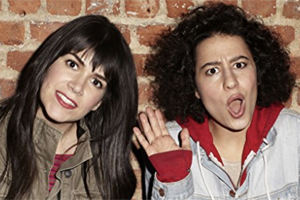 Abbi Jacobson's new memoir recalls FX rejecting Broad City because it was deemed too "girly"
Jacobson and Ilana Glazer had spent a year developing their comedy series for FX. Abbi and Ilana will return for their fifth and final season on Jan.
Abbi Jacobson said on Watch What Happens Live: “It’s something we talk about.